Iceland generates 99% of its electrical energy from renewable hydroelectric and geothermal sources. Landsvirkjun generates over two thirds of this energy from hydroelectric, geothermal and wind power sources. Landsvirkjun operates 13 hydropower stations, 2 geothermal stations and two wind turbines, in five areas of operation, all over Iceland. We believe in an integrated approach where prudence, reliability and the harmony of operations with the environment and society, are fundamental to our operations. Landsvirkjun’s water resources were poor this year. Water reservoir levels were low by the end of winter and spring and summer saw low temperatures and a dry climate. Approximately 600 Gl were needed in the reservoirs at the beginning of the winter period. The weather for the remainder of the year was unfavourable. Landsvirkjun’s water reserves were low at the end of the year, or approx. 2,500Gl. Water reservoir status by area: 2013 The water inflow to Landsvirkjun’s reservoirs in 2013 was unlike that of previous years. There was high ‘snow melt’ in the water catchment areas in Þjórsá, Tungnaá and Blanda in February, most of the snow in the area thawed and the inflow rate was tenfold. Precipitation levels were low for the rest of the winter and there was no snow accumulation within the area. The spring floods were minimal as a result of these weather conditions and the ‘snow melt’ from the Langjökul, Hofsjökul and Vatnajökul Glaciers was below average. Reservoirs did not fill in the Þjórsá, Tungnaá and Blanda water catchment areas. Snow accumulation was high in eastern parts of the country and temperatures in the spring were initially low. The lowest water level on record was recorded on the 28th of May at Hálslón; 570 m.a.s.l (55 metres below the highest operating water level). Temperatures rose at the beginning of June and the water flow increased in rivers and lakes in the eastern part of the country. The Hálslón Reservoir filled up towards the end of August and remained full for three weeks. In 2013, energy generation at Landsvirkjun’s geothermal stations at Krafla and Bjarnarflag was approx. 500.5GWh. Landsvirkjun is committed to utilising geothermal energy in a sustainable and responsible manner. An integral part of this approach is ensuring that a balance is maintained between the utilisation and the natural renewal of the geothermal reservoir. Separated water not utilised directly for electricity production is injected back down into the geothermal reservoir. Since 2012, re-injection levels have been increased, gradually, from 80kg/s up to 140kg/s. 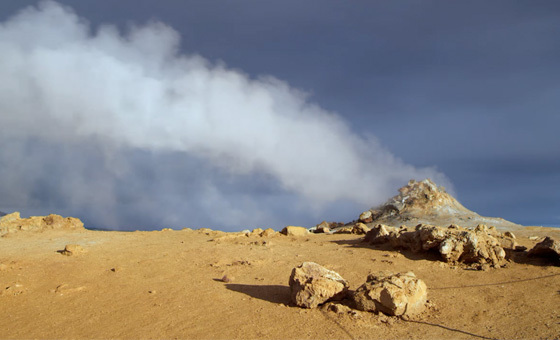 Currently, only 32kg/s is not re-injected into the system but all separated water will be re-injected into the geothermal reservoir at Krafla. 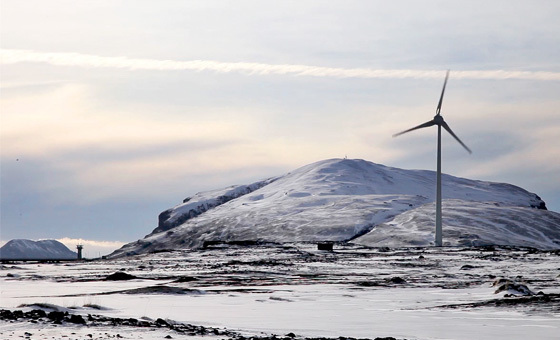 Landsvirkjun’s first wind turbines became operational this year. The two wind turbines each have an installed capacity of 0.9 MW and operations have been successful this year, with minimum disruption. Safety issues pertaining to the maintenance of the wind turbines are a priority and specialist training is required for those employees involved, as a result of the height employees work at. Training has mostly been executed in Iceland where a special practice area was set up for training and drill purposes. The operations of Landsvirkjun's power stations were successful throughout the year. There was one serious incident when a cable terminator failure occurred at the Búrfell Hydropower Station. There were 76 unforeseen interruptions at Landsvirkjun’s power stations during 2013, compared with 77 in 2012. Landsvirkjun's goal is to ensure that generating units in the power stations are available 99% of the year; not accounting for routine maintenance periods. The goal was achieved this year as units were available 99.7% of the time, compared with 99.9% in 2012. The monitoring, maintenance and operation of power stations was routinely carried out throughout the year. Landsvirkjun operates in accordance with an integrated, certified, Quality Management and Environmental Safety Management System, based on ISO 9001, ISO 14001, OHSAS 18001 and the Internal Electrical Safety Operation System (RÖSK), which fulfils the criteria set out by the Iceland Construction Authority, on electrical safety issues. Landsvirkjun has been certified as a producer of green electricity by the German company TÜV SÜD, who specialise in certification, testing and inspection. In addition, the Company’s IT Division’s safety management system is certified in accordance with ISO 27001. There were 79 maintenance and refurbishment projects carried out at Landsvirkjun’s power stations in 2013. A contract was completed on the purchase of a new step-up transformer for the Búrfell Hydropower Station which is due to arrive in the country in the middle of 2014. 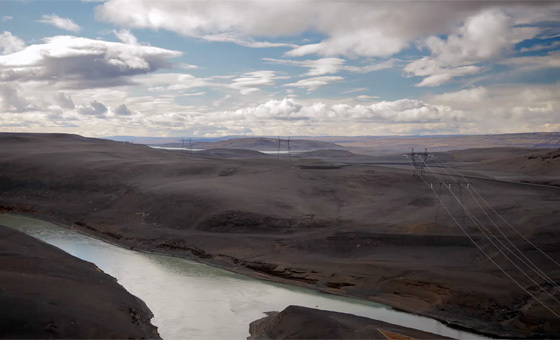 An excitation system was upgraded at unit 3 at the Írafoss Hydropower Station and a 23 year station control system was upgraded at the Blanda Hydropower Station. The new station control system should be operational by the middle of 2014. The penstock at the oldest and smallest Landsvirkjun power station, Laxá 1, was removed and the power station was taken out of operation. Refurbishment work was executed on one of the cooling towers at the Krafla Geothermal Station, alongside preparation work for the repair of the spare turbine rotor. The wicket gates were replaced in one of the machine sets at the Fljótsdalur Hydropower Station. 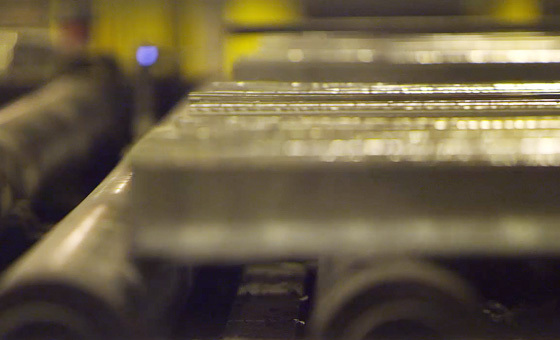 Long- term plans are essential where the renewal and refurbishment of equipment is concerned. Projects must be prioritised in accordance with the overall interests of the Company. The implementation of new procedures for asset management, in line with the Asset Management Standard ISO 55001, continued this year and a special software system for asset management was taken into use. The objective of asset management is to optimise the management of assets, to ensure that they fulfil their designated role and requirements. Effective maintenance cannot prevent the need for the renewal and refurbishment of power stations, within the estimated lifetime, if the equipment ceases to fulfil its designated role or if it poses a danger. Long term investment needs are identified on the basis of age and condition. Short-term investment need proposals are collected in a comprehensive database and are then prioritised according to a specialised evaluation, based upon risk assessment and the objectives of the Company at any given time. The software significantly simplifies the process of analysing how the different contributions to investments in operations will affect future risk factors for the Company and effectively keeps track of asset management. The results of the Hydropower Sustainability Assessment Protocol (HSAP) assessment of the Blanda Hydropower Station have been released. The assessment was based on the new international protocol on the sustainability of hydropower stations and is governed by a multi-stakeholder body with representatives from social and environmental NGOs, governments, commercial and development banks and the hydropower sector. A Protocol Governance Council been established to ensure multi-stakeholder input and confi­dence in the Protocol content and application. The International Hydropower Association (IHA) is responsible for day to day running of the protocol assessments. Blanda Hydropower Station is responsible for approx. 7% of Landsvirkjun’s energy generation. The Protocol was first launched in 2011. The Protocol was developed between 2008-2010 by the Hydropower Sustainability Forum, comprised of “representatives of developed and developing country governments, the hydropower sector, social and environmental NGOs, and commercial and development banks” (http://www.hydrosustainability.org) alongside the IHA who initiated the project. Landsvirkjun has given the project its full attention, via its membership, and has actively supported the development of the protocol. The Director General for The Icelandic National Energy Authority represented the Icelandic government throughout the project. The Protocol assesses the sustainability of hydropower projects and is built on 20 clearly defined topics. The Protocol can be used for four main stages of hydropower development: Early Stage, Preparation, Implementation and Operation. The audit is executed by an accredited assessor who carries out an evidence-based objective assessment. Documents pertaining to the operation of a hydropower station are utilised for the assessment, the validity of which is confirmed via a number of interviews with a diverse range of stakeholders and input from other parties. The Blanda assessment took place at the Blanda Hydropower Station and at Landsvirkjun‘s headquarters in Reykjavík in September, 2013. The assessment was carried out by three international experts. The assessment was comprehensive, including interviews with Landsvirkjun employees and over 30 individual representatives from the various stakeholder groups: agencies, municipalities, companies and organizations. 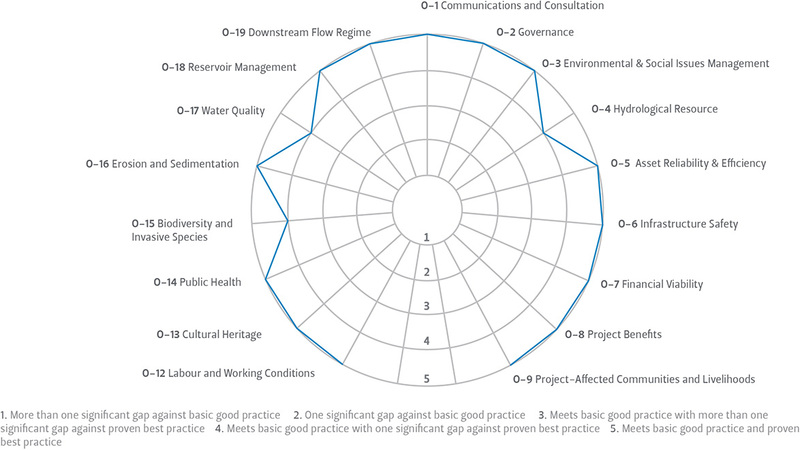 The protocol assessed 17 differing topics, pertaining to the operation of Blanda, in order to assess the sustainability of the hydropower project Communications and Consultation; Environmental and Social Issues Management; Hydrological resource; Labour and Working Conditions; Biodiversity and invasive species. The results of the assessment show that Blanda meets Proven Best Practice on 14 out of 17 topics assessed using the Protocol. Blanda exceeds Basic Good Practice on all 3 remaining topics, each of these with only one significant gap against proven best practice.